Home / Breaking News / News / ELECTORAL ROBBERY IN RIVERS STATE, PERFORMED BY OBO EFFANGA AND SUPERVISED BY PROF YAKUBU. 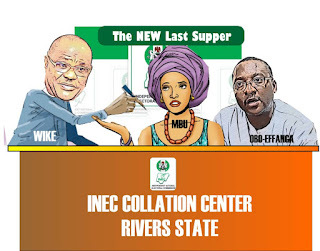 With what is happening in Rivers State, it's now obvious that INEC merely wanted to rig the election by itself, instead of opening up, it resorted to blackmail the Nigerian Army, who always assist them during elections. You will recall that INEC alleged that the postponement of the collation was as a result of the military interference as well as insecurity that marred the whole process. Thereafter, the same INEC came up with a release that it has in her possession, results already concluded and announced in only seventeen LGAs. My question this, if the issues of insecurity and the military were so substantial that that they affected many LGAs, where then did INEC get the results from the acclaimed 17 LGAs? The said LGAs were never disclosed until they resumed collation. 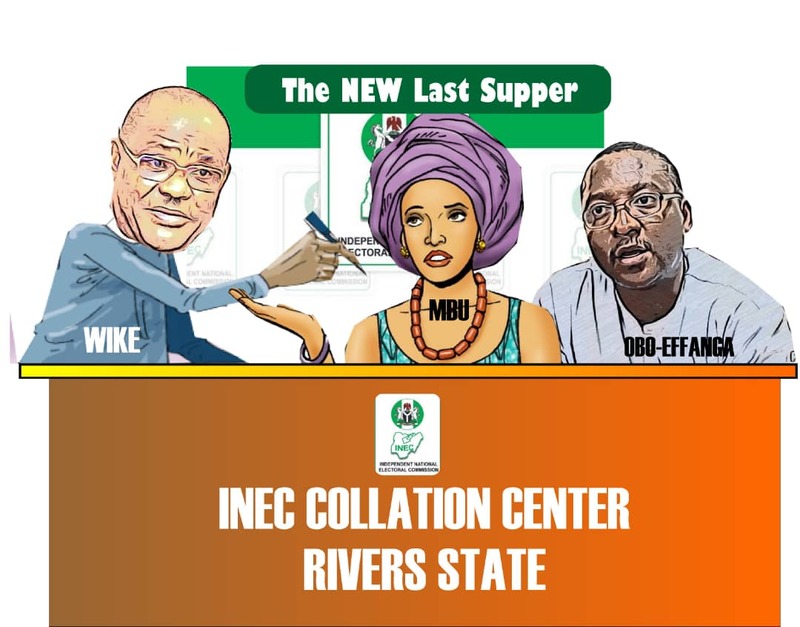 When INEC suspended collation, in whose custody were those results? How come that all the results changed? Especially the LGAs where AAC won elections? EG, Ikwerre, Asaritoru, Akukutoru, Eleme, Ahoada West, Oyigbo etc. Upon the resumption of collation, all these results have been rewritten under the supervision of INEC. This was the sole reason for the said suspension it was obvious that their preferred candidates of the PDP were losing. Even as we speak, INEC has never raised any alarm about missing results, meaning that they only succeeded in blackmailing the Nigerian Army. Till date, the military men who Wike and his thugs unleashed terror on are still taking treatment in the hospital. In a sane society, Obio/Akpor would have been rejected, but INEC accepted it and announced same. This is most unfortunate.